Sierra Lee is creating content you must be 18+ to view. Are you 18 years of age or older? Hey there! I'm Sierra Lee, creator of a variety of different games. If you become a patron, you'll get weekly progress reports, early access to new games, input into the development process, and free copies of commercial games! Most likely you already know what I make, but keep reading for a taste of some of my work. 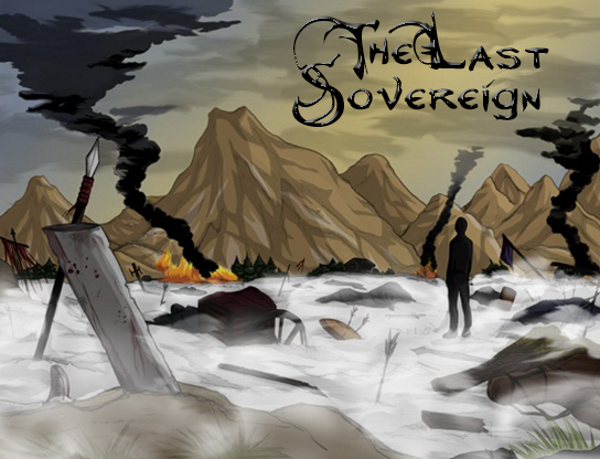 The Last Sovereign is a fantasy RPG that plunges you into the saga of a world torn between opposing factions. It has over 25 hours of gameplay so far, presenting a richly detailed story filled with choices that have complex, interlocking consequences. This is my primary project, so expect regular updates of it! 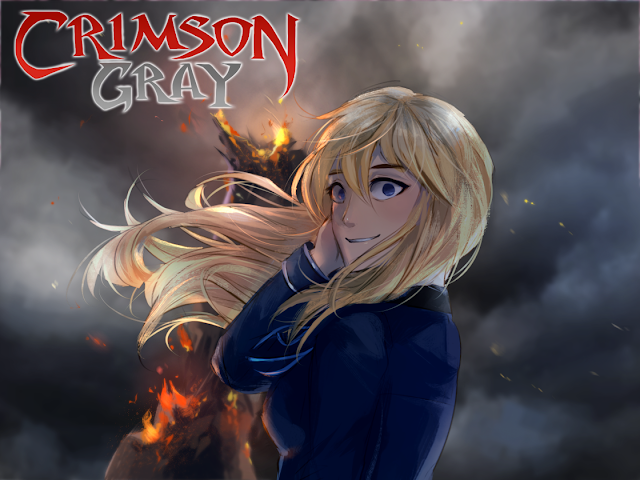 Crimson Gray and its sequel are psychological thriller VNs, a romance between a young man with depression and a severely unstable young woman. Your every choice will impact both characters' mental states, leading them toward tragedy or helping them find happiness with each other. Complete! 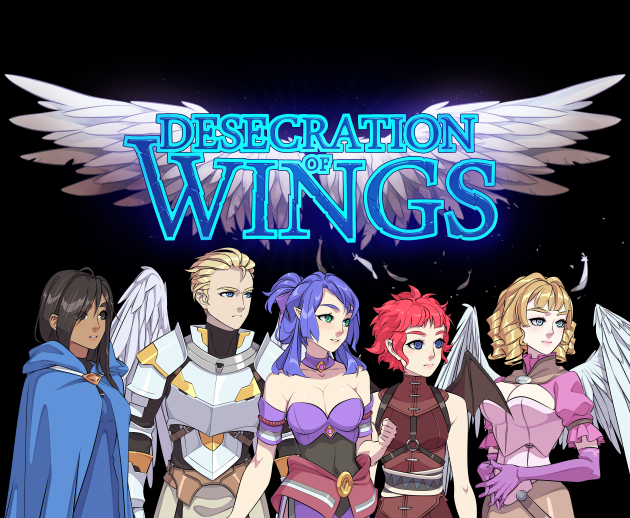 Desecration of Wings is an old school RPG with modern improvements. Take on the role of a historian in a world ruled by Immortals who want to prevent anyone from studying the past. 10+ hours of twisting main storyline with many optional challenges available. Complete! 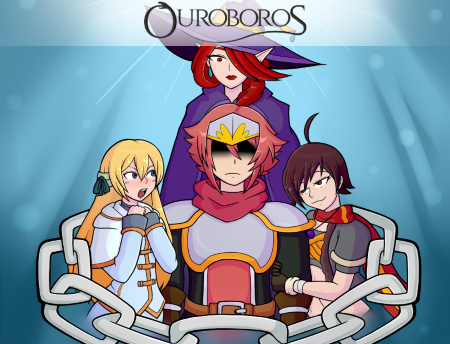 An RPG with a twist, Ouroboros presents a bright, cheerful world in which something is horrifyingly wrong. The hero has a princess to save and a quest set before him, but there are unsettling signs that all this has happened before. As you play the game, you'll come to realize that the dungeons and monsters are meaningless distractions from the task of uncovering the truth. Complete! It's thanks to your help that I've been able to create these games, feel free to join us if you want to support the creation of even more! Your pledge will get you lots of progress updates, early access to everything, and free copies of my commercial games. Early access to each version of The Last Sovereign! Once you've pledged here, you'll be sent the next version of the game when it's released! Free copies of games as I release them commercially, plus copies of side projects I decide not to release publicly. Each month counts toward a past game! Participate in special threads that decide the course of games or my future projects! Sierra goes full time, producing regular updates on The Last Sovereign plus occasional side projects!